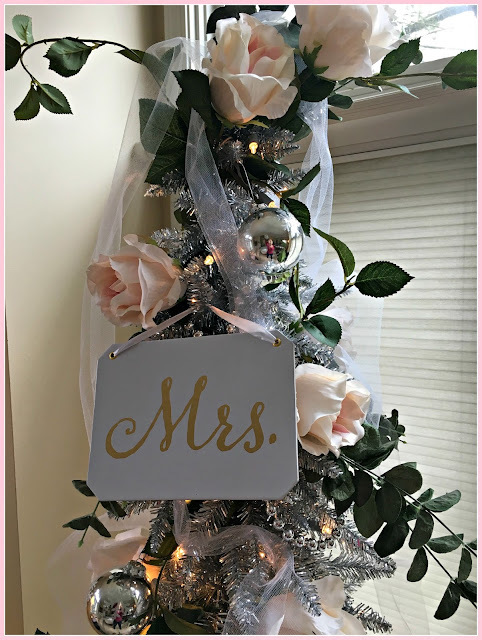 Instead of putting away all my Christmas decorations last week, I saved out the pink and silver and white baubles, and re-decorated for a bridal shower I hosted this week with the help of my amazing book club friends. The same friends who gave my daughter such a beautiful shower this past June. This time, the shower was in honor of another book club member's daughter. What a perfect opportunity to use all my favorite china and linens. A lot of pink was featured. 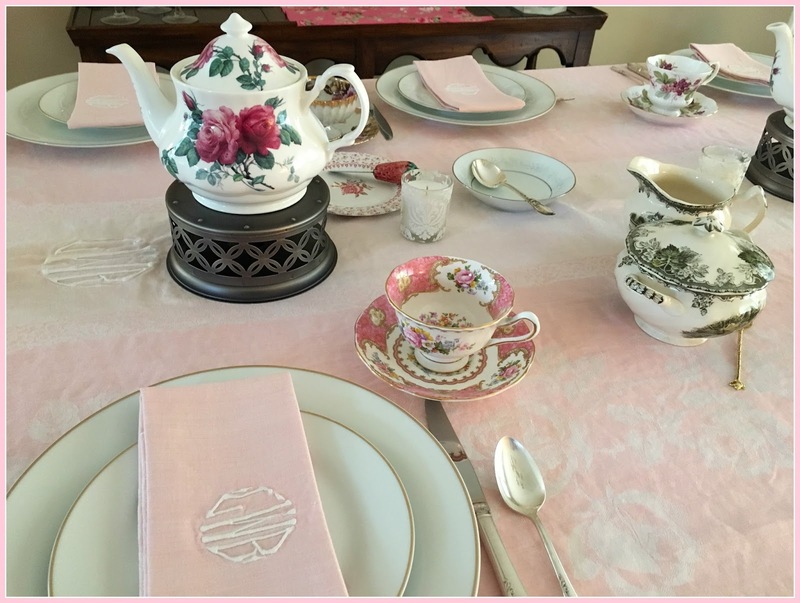 This Royal Albert teacup in Cheeky Pink was a Christmas gift from my daughter and son-in-law. It made its debut. This blue teapot is new to me from eBay. I love the color and shape. The blue and pink teacup was a gift from a dear friend. 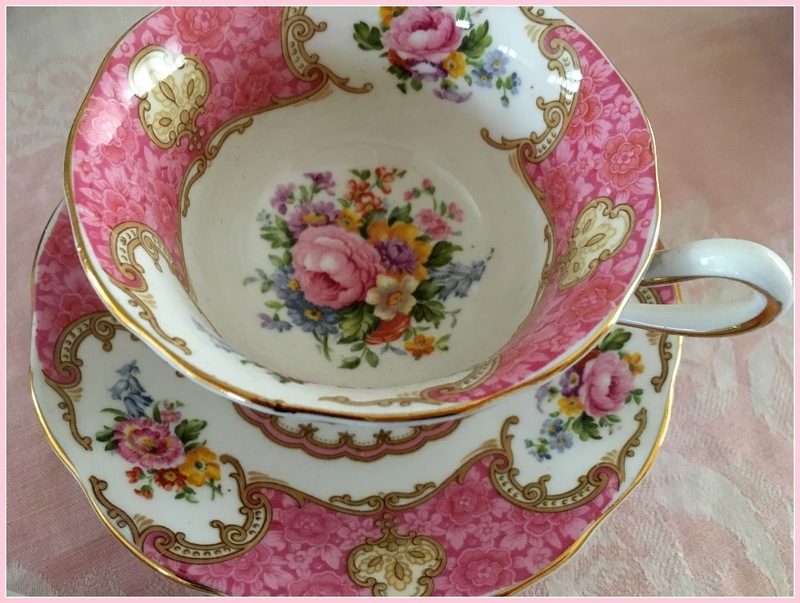 In fact, every teacup I own has its own special story. This tree was so fun to do. I'm thinking I may keep it up for awhile. 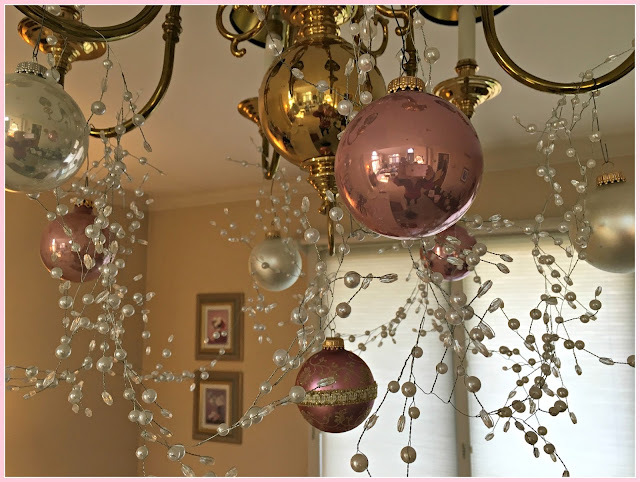 I had fun bling-ing up the chandy, too. And changing out the Christmas wreath on the front door for a wintry and feminine one. 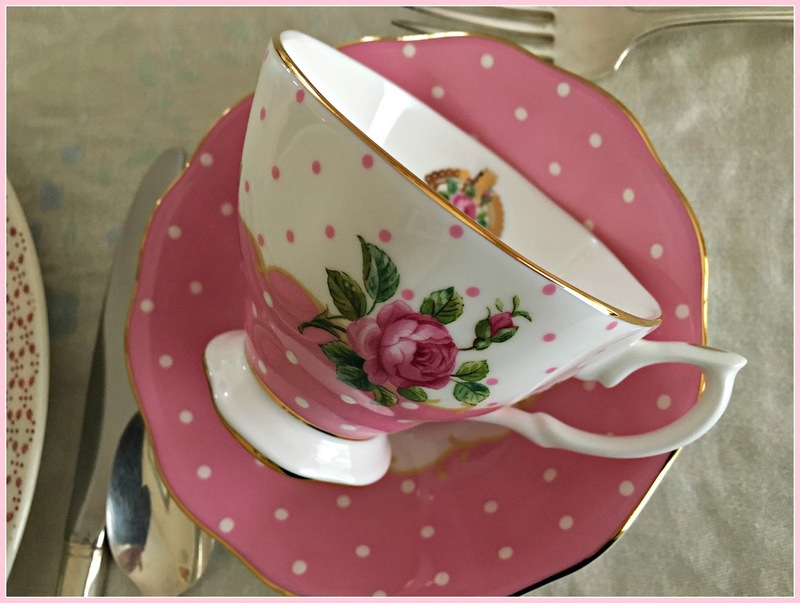 Oh, I adore this retro pink and gold-starred teacup. And these linens are probably 100 years old. Soft with age and sturdy still. I usually complain when the next up-and-coming holiday is rushed in before the current one is even over. But I was happy this year to find Valentine's Day decor already in the stores. I found this cute little sign at Target. 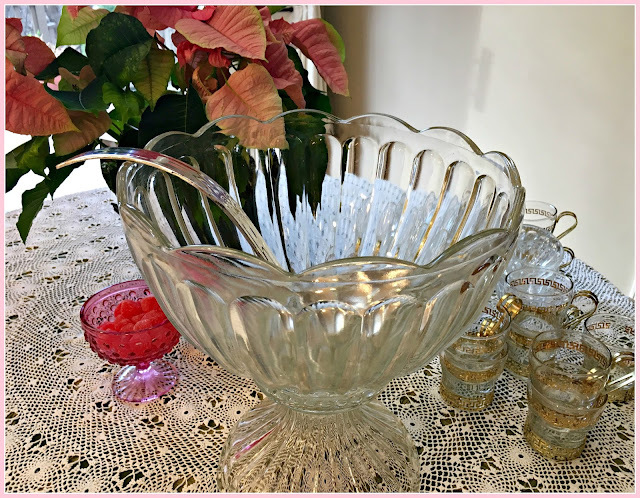 Perfect for a bridal shower. 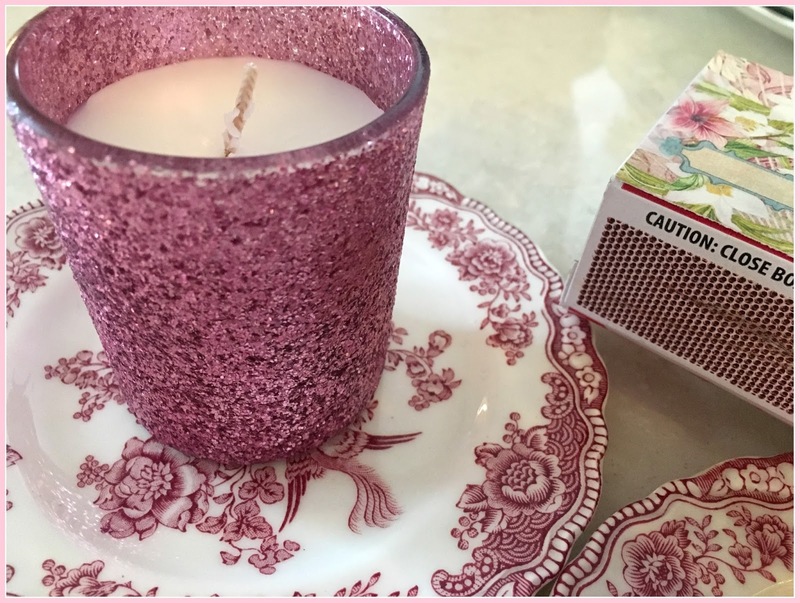 Another sweet find -- glittery pink candles. I've displayed them on my grandmother's red transferware plates. 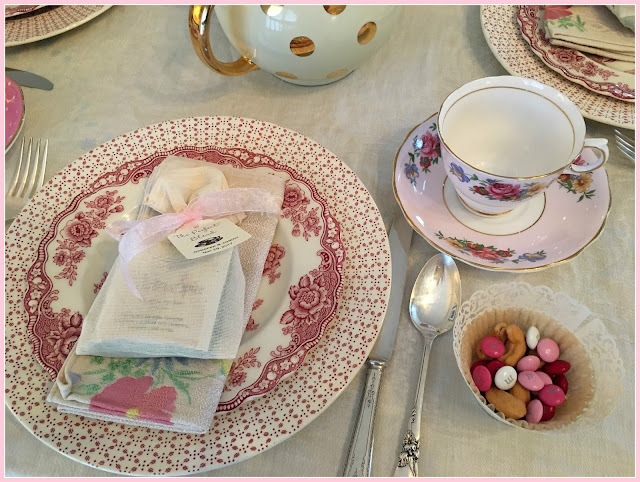 I put together little favors for the guests in keeping with our tea party theme. Little muslin bags I found on etsy filled with four different teas and tied with a sweet pink ribbon and a little tag. 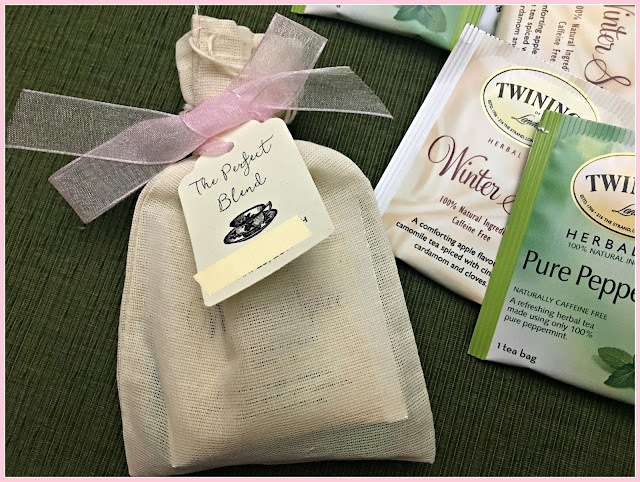 "The Perfect Blend" . . . with the bride and groom's names and wedding date. I also found these beautiful laser-cut paper wraps on etsy. They go around paper muffin liners, and are perfect for little treats for guests. Again, I was happy to be able to find pink Valentine's Day M & Ms already available in the stores. Along with some salted cashews and almonds, they made a pretty table decoration, too. I didn't get any food photos, as I took all the pictures before anyone arrived, and my friends brought all the food. Except for the scones. 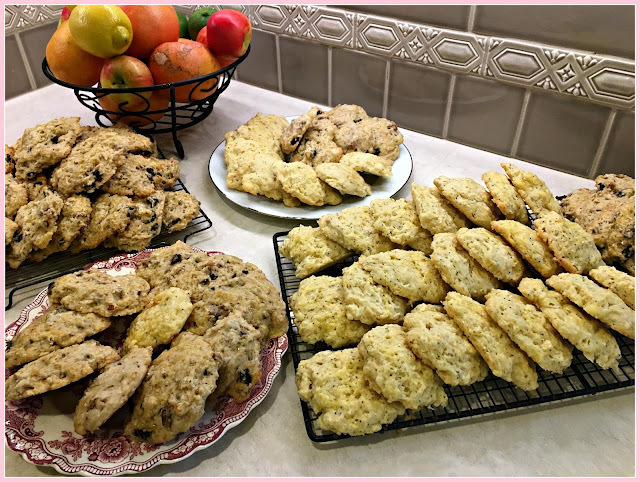 I made lemon poppyseed and cherry pecan scones. 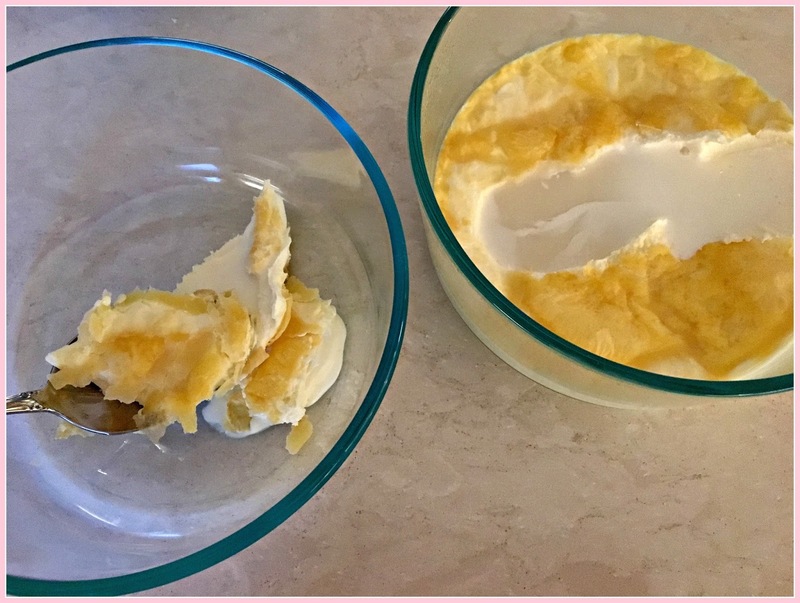 I also made clotted cream. I had never made this before. I guess I always thought clotted cream was really just whipped cream. But I decided at the last minute I better look up a recipe just in case. Oh. It's not whipped cream at all. You take heavy whipping cream, not ultra-pasteurized. I had to go to a second store to find some cream that was only pasteurized. You pour it into a shallow glass dish and put in a 180 F oven for 12 hours. Skim the cream off the top, and that's your clotted cream. 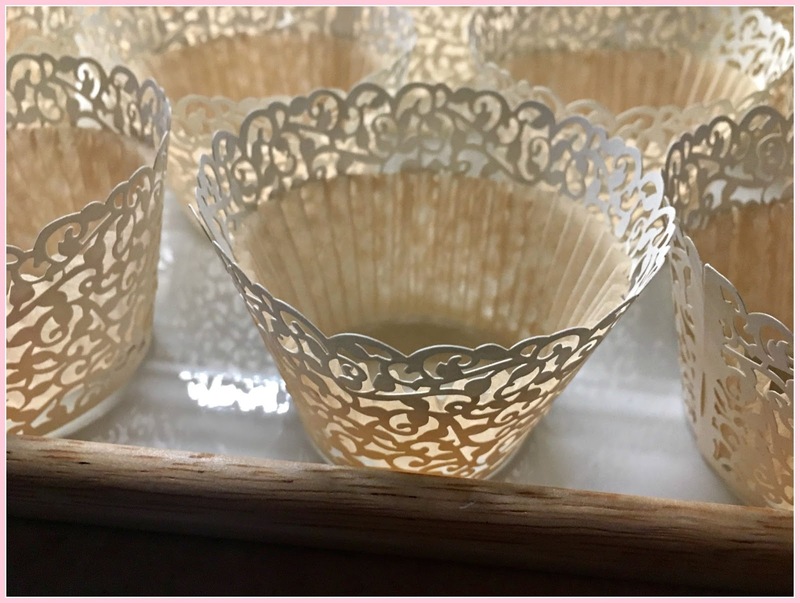 (Save the thinner liquid underneath for biscuits or pancakes or another recipe). So, by the time I figured this out and went to the store, it was afternoon. 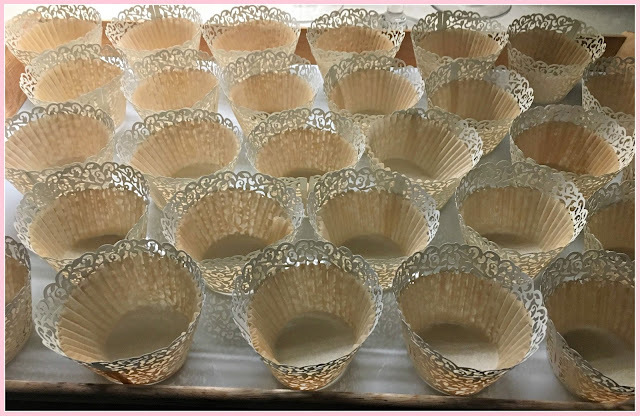 I got it in the oven, but because I had to let it cook for 12 hours, I had to get up at 2:30 a.m. to take the stuff out of the oven! Wow, was it worth it, though. Delicious! 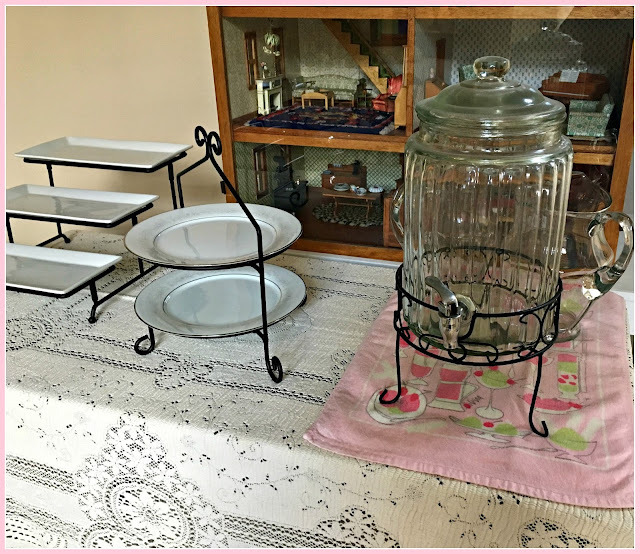 This is one of the serving stations set up in front of my dollhouse. My book club friends brought chicken salad croissants, tiny cucumber and egg salad and salmon sandwiches, bite-sized quiches, and an array of desserts. And a pink sherbet-y punch. 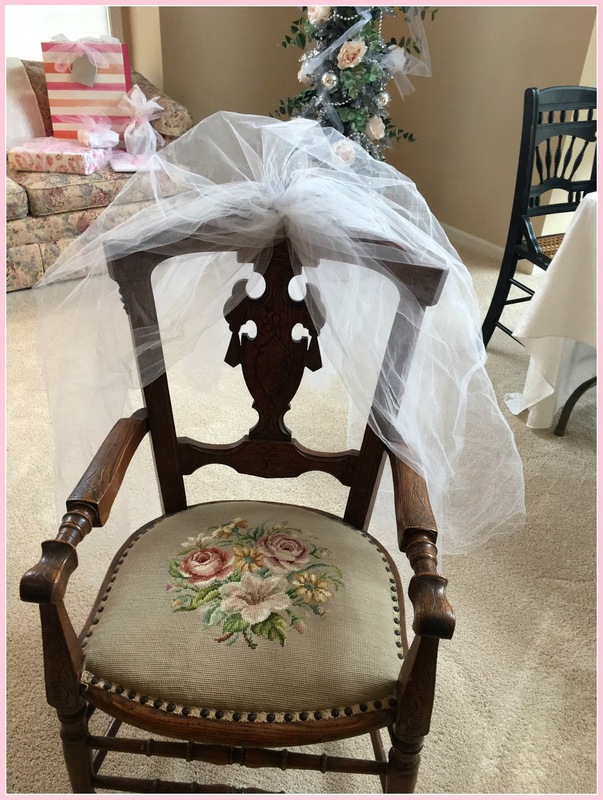 The guest of honor was seated in a specially decorated chair. 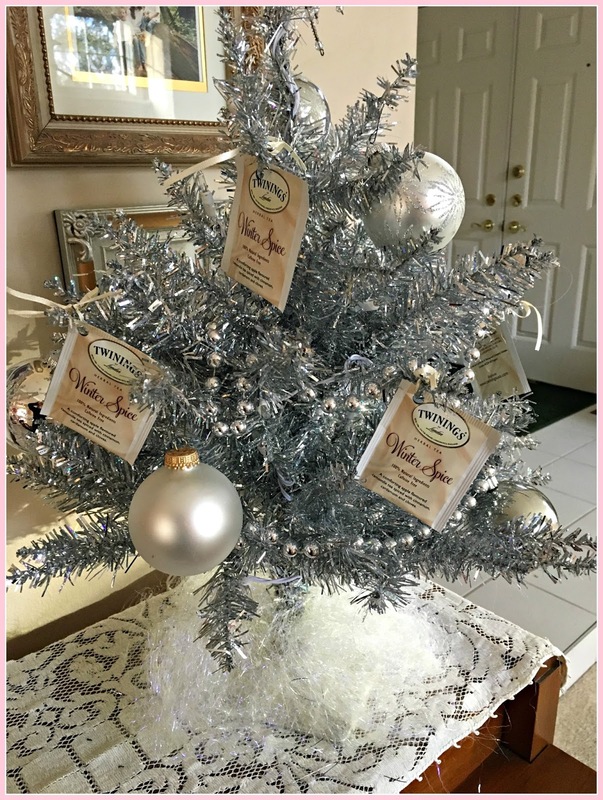 I also redecorated this little Christmas tree with some Twinings Winter Spice tea bags and some silver beads and bulbs. And how cute is this little elephant teapot and her little creamer and sugar babies? 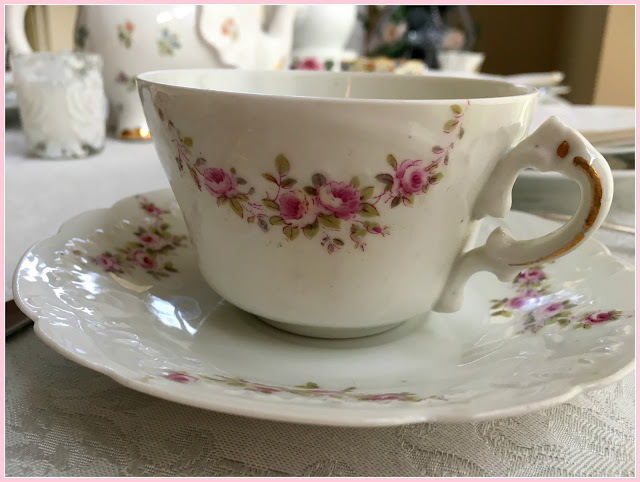 One of my favorite china patterns is Royal Albert's Lady Carlyle. 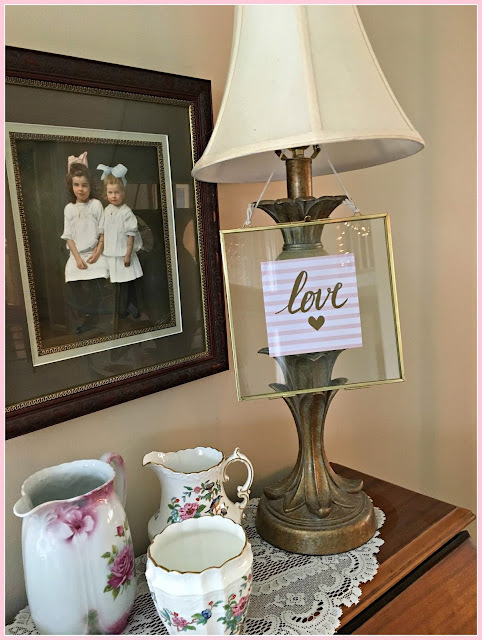 I love to bring out all my lovely old things, many of them heirlooms, others gifts from special friends, and others found on trips to the antique store or found during happy etsy or eBay searches. It seems sad to let them languish in the cupboards. 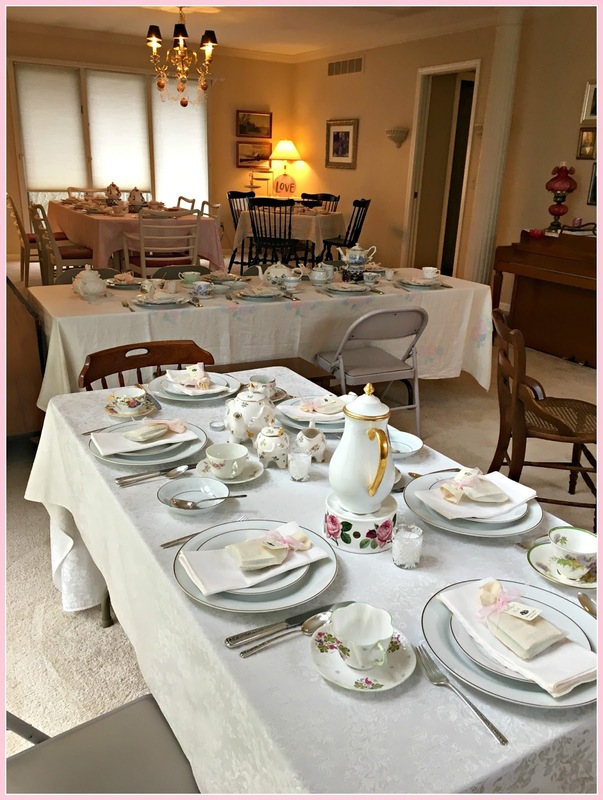 Hosting a tea party/bridal shower using all linens and china and silver and flatware is definitely more work than going the paper plate and napkin route, but it adds such a special touch of elegance to an event. I think it says to the guests and the guest of honor "you're special and deserve the very best. We love you and want to honor you." 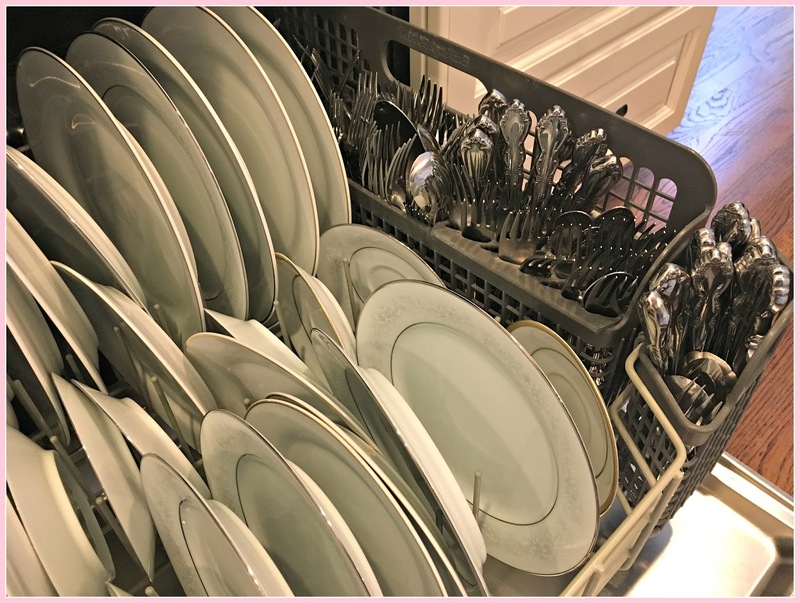 But thank goodness for a china cycle on my dishwasher! And friends who stayed to do the hand washables. Thanks to everyone who commented on my last post about foundation. Some of you had some great tips. I don't think I'll be giving it up anytime soon. Love playing with makeup almost as much as playing with my teacups! Oh how fun! Everything looks so nice! Love all the teapots and special touches. 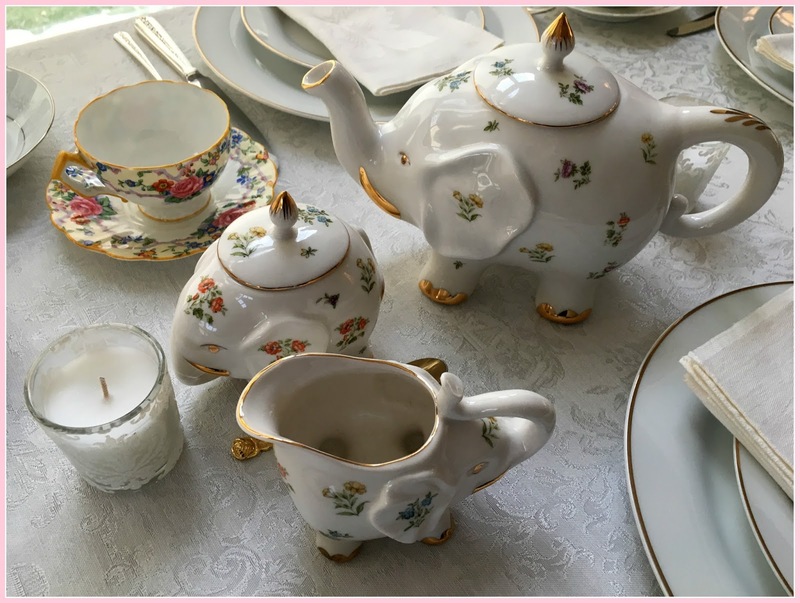 That elephant tea set is way too cute! I bet the bride to be was just thrilled with it all! Oh wow ! Wow, wow, wow ! 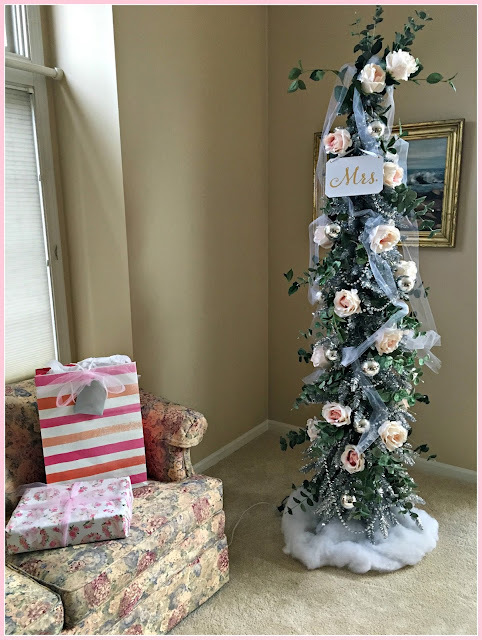 What a lovely bridal shower . Everything is so lovely and also looks like fun. 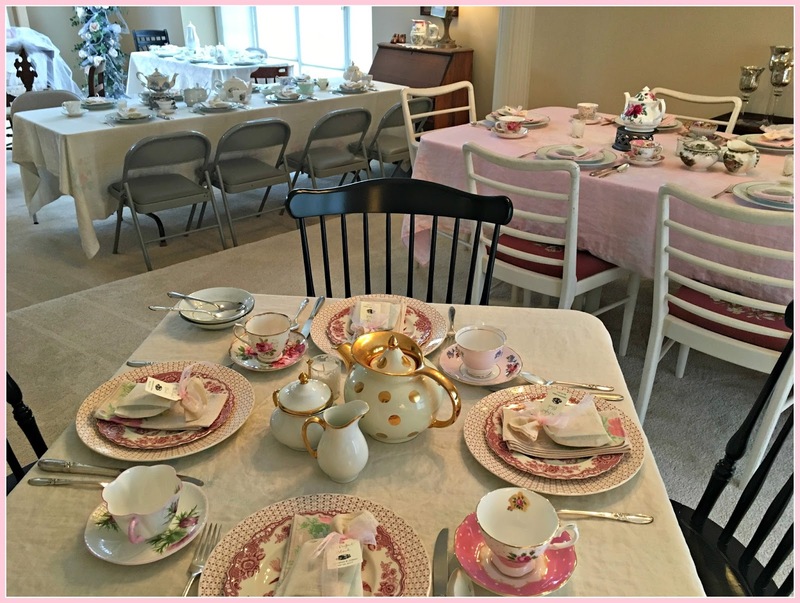 I love seeing how ladies use the beautiful china and tea collections to host actual parties, get-togethers, and teas. I love this post ! What a delight to see, it all looks stunning. Everything was laid out beautifully all the little touches are so thoughtful. You certainly made it all very special for the bride to be. Best wishes for 2017. Wow, what a beautiful shower. Everything looks exquisite and so femininely pretty. I loved seeing it all, and thank you for sharing. 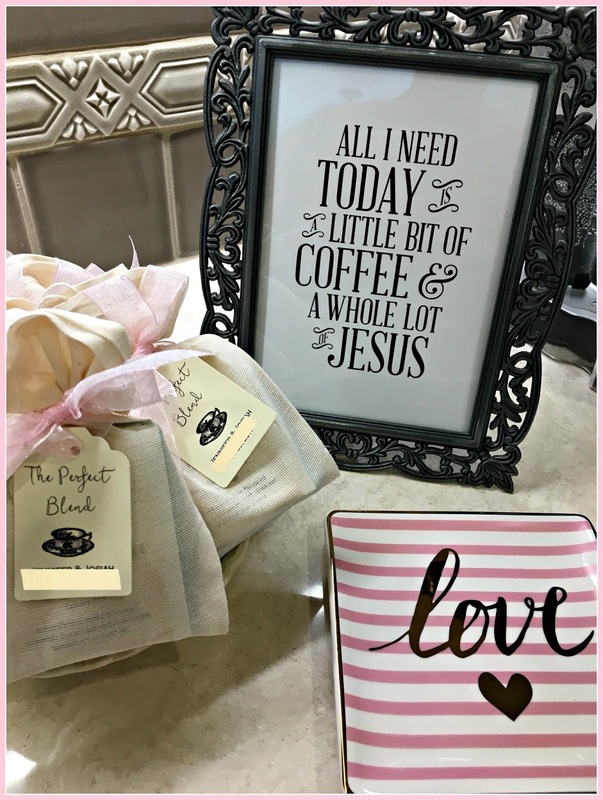 Loved the little saying, "All I need today is a little coffee and a whole lot of Jesus". With that I will end my comment and refill my coffee cup with second/final cup of coffee for the day. Jesus is with me all day and I am oh so thankful for His tender love and care. May I constantly be refilled with all He has to give me throughout the day. 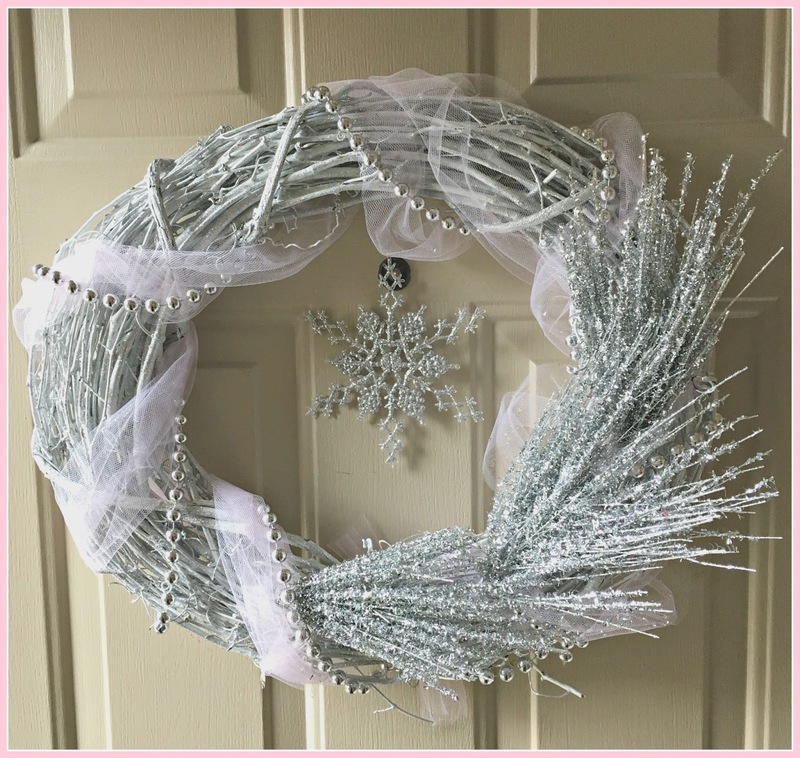 I am totally mesmerized with all the loving details here, Deborah! It's look like you had at least 24 place settings, plus all your beautiful serving stations. So, so pretty with all the mixed and matched vintage service! Bravo! I'll be co-hosting a bridal shower for a niece in early March and I made some mental notes. How I wish we could do real china, but I think we're having close to 80 (yes, 80!) guests. 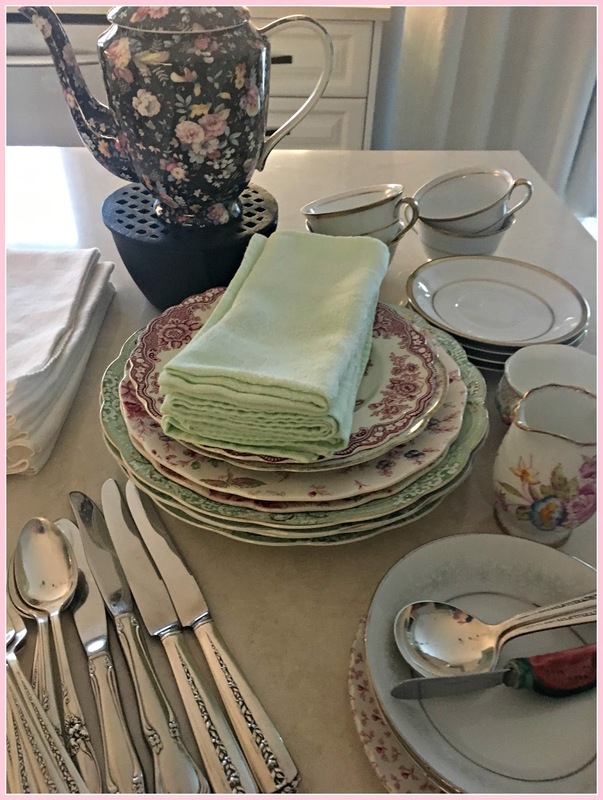 The bride (and bridesmaids) didn't want to commit to several showers, so we had to rent a space and will definitely be using Sam's Club china and flatware! 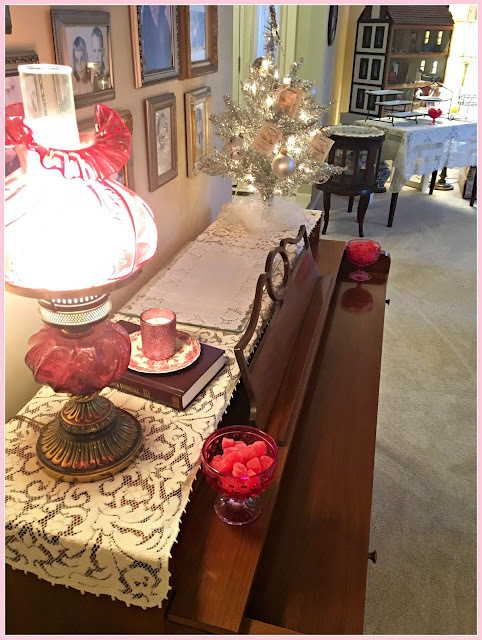 Your decor was made gorgeous with using your Christmas things tweaked a bit, and your space looks so inviting. I just love all of this. Lucky girl, that bride was, as were the guests. You certainly did put a lot of love and time in the details. Everything looks perfect. I love the blue and white tea-pot. It looks like it would pour well, too. They are not easy to find. Ooh Deborah, what a special shower you've hosted. You thought of everything to make the bride feel special, with all your lovely detail. The two trees are just beautiful, and so is the chandelier. 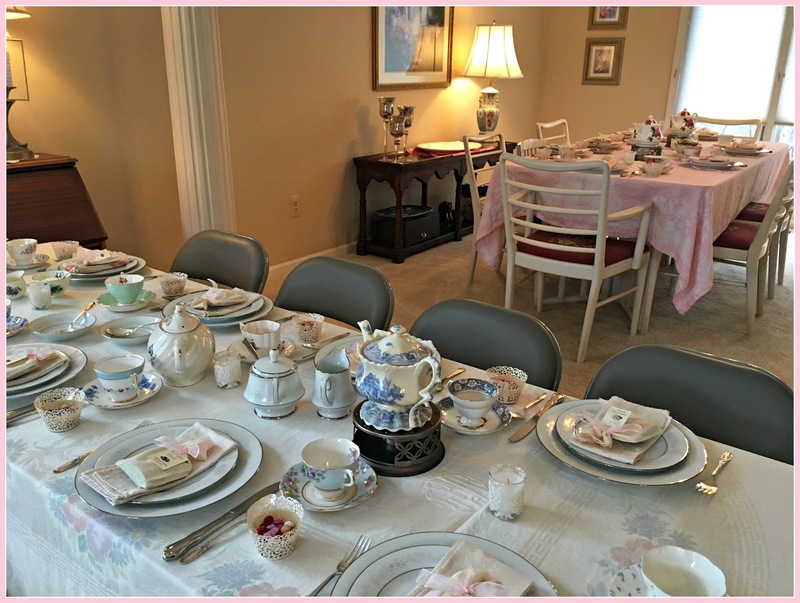 All the mixing of the China patterns, along with all your pretty teacups, made for wonderful tea party. Your new teapot is a beauty, and I so love your teacup from your daughter and son in law. You certainly found some pretty things from target and Etsy, too. You put such love into the shower and I'm sure the soon to be "Mrs" appreciated it very much. You had an amazing event and are to be applauded for all the special details and decorations. Very elegant!!! What an AWESOME bridal shower! Your attention to detail is impressive. I'm sure that the bride-to-be was thrilled! I loved everything from the gorgeous china (especially the Cheeky Pink teacup and polkadot teapot) to the "perfect blend" party favours. I've been saving the pretty teabag wrappers for something crafty; I may have to borrow your idea of using teabags to decorate a small tree. Now I'm off to look at the photos again in maximum views so that I can ogle the teapots and teacups in more detail. 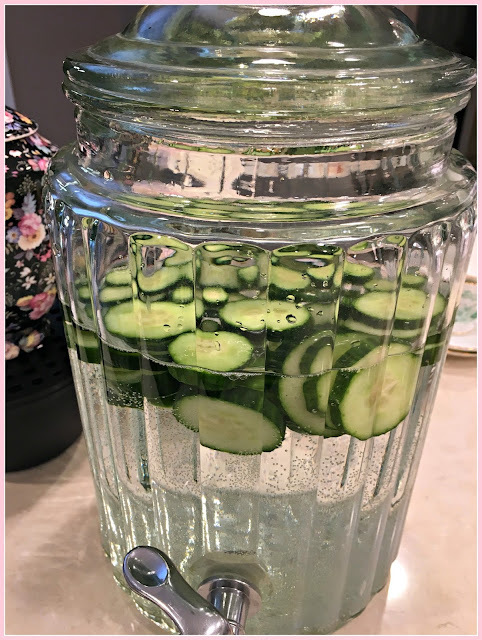 Oh my this shower tea looks simply gorgeous! I love all the pretty tea cups and special touches that you have added...the food looks amazing too! You have a real gift Deborah! Everything just looks so beautiful! 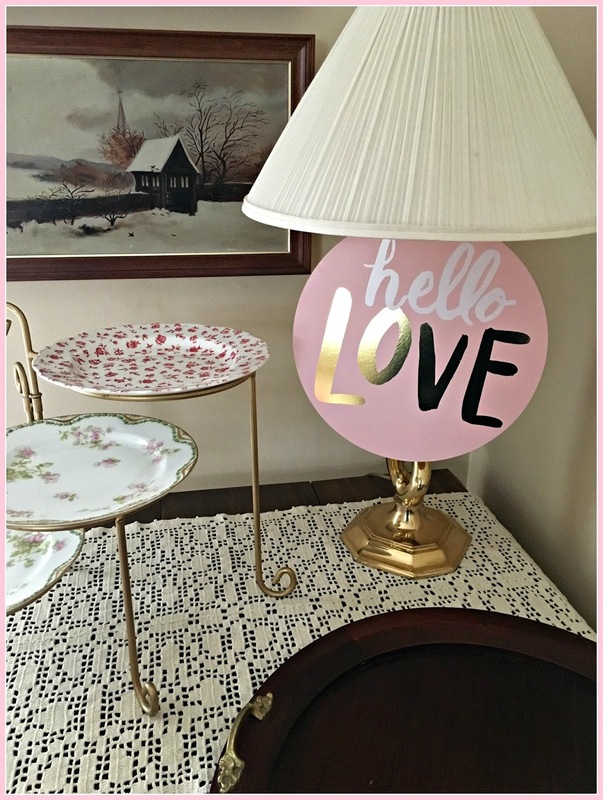 I love it when different china patterns are mixed together. 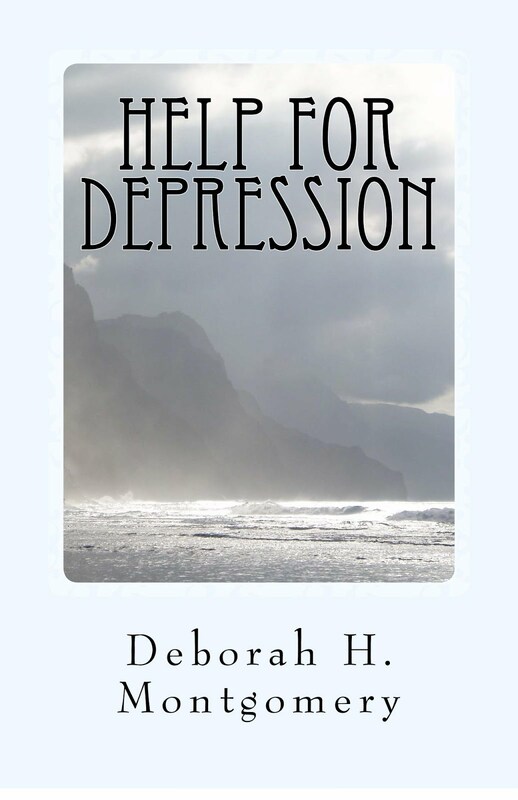 Hi Deborah, what a beautiful shower. Everything is simply gorgeous. You did such a wonderful job of making the setting so charming and special. Love the way you used the trees. I know the bride to be and the quests had to feel pampered. You are amazing. Gorgeous, just gorgeous! That bride, you know, was blessed beyond. Deborah, you and those ladies did a magnificent job with all the details of creating a most elegant and feminine setting for such a special occasion. The tree's the linens the favors and the china were all so wonderfully assembled. Thank you so much for sharing your party with us, I so enjoyed my visit. Sweet friend, I am absolutely speechless! Everything took my breath away....the decorations, the food, the love and care put into everything. You and your book club ladies did an amazing job and my, how the bride-to-be must have felt pampered and blessed. Beautiful, my friend. I hope your New Year is off to a wonderful start. Love and hugs to you! You ladies outdid yourselves with the decor and feminine touches for this shower. 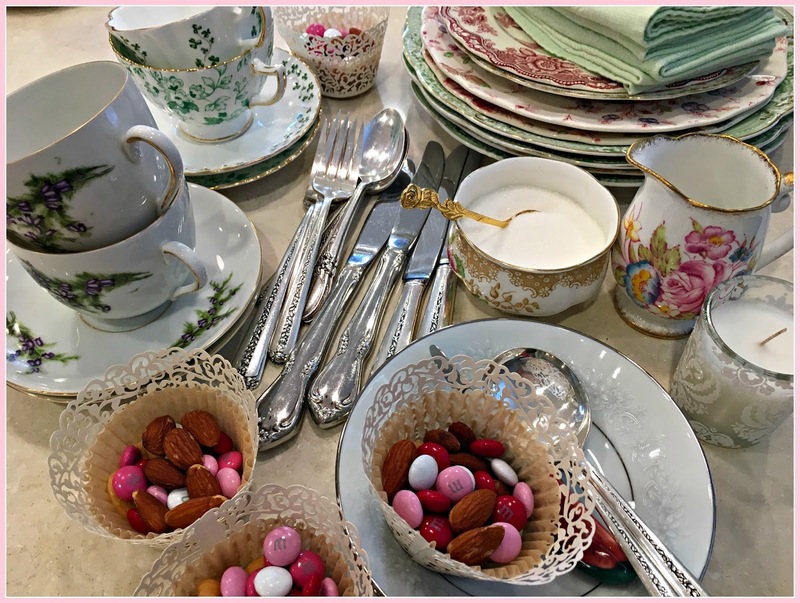 So nice to see many teacups from your collection, the delicious food and keepsakes. I would love to attend an event like this, everyone besides the guest of honour would feel special. What a lucky bride! Your shower was so beautiful! Just perfect! How perfect everything is, Deborah! 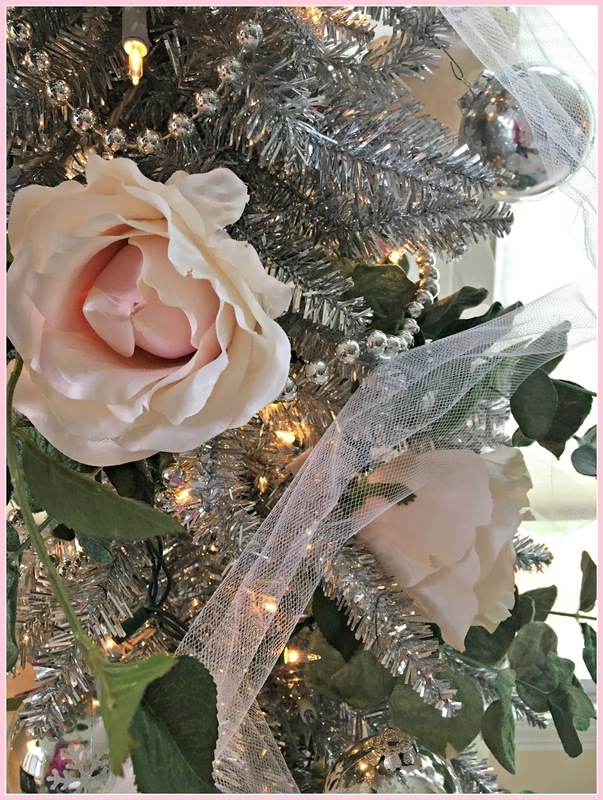 I absolutely LOVE the tree with the roses; so elegant! 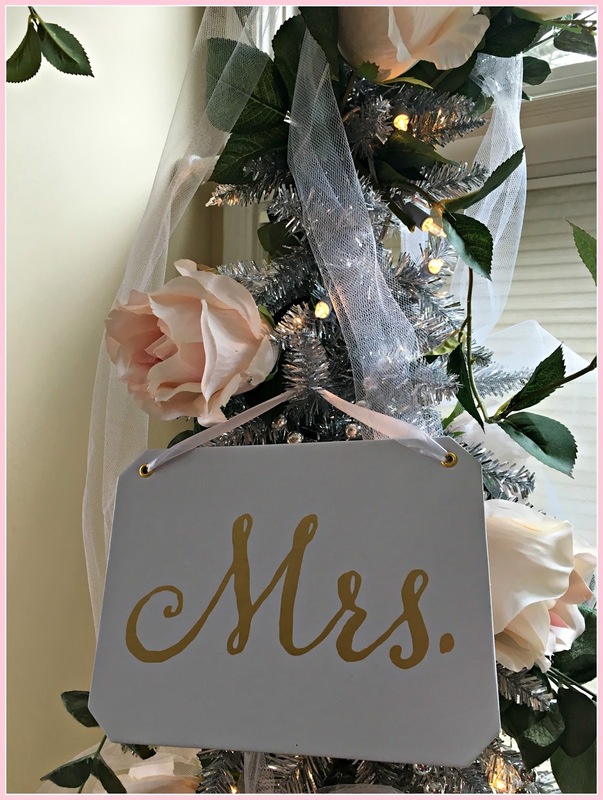 The whole setting would make everyone feel special but especially the bride-to-be. The elephant teapot and babies are darling. I've never seen a set like that before. Using real china instead of paper plates just makes it all the more lovely. 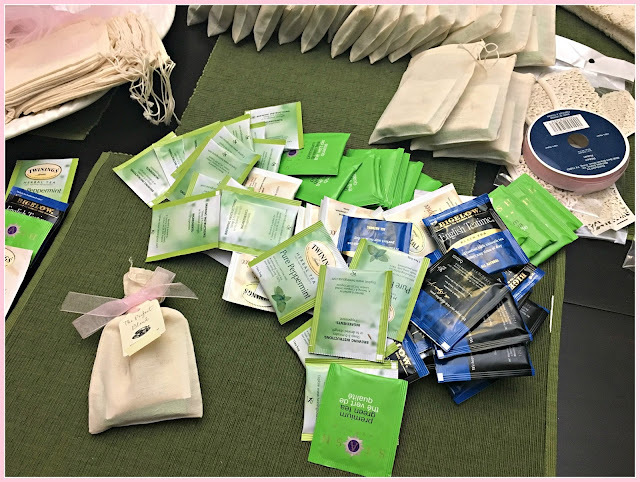 You do know how to pamper your friends, m'lady! Such a beautiful post sharing wonderful ideas for a lovely tea. 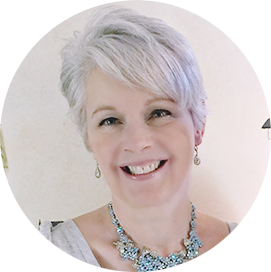 Your guest of honor surely felt special and honored as all your guests must have. It is a gift to be the hostess of such an event. 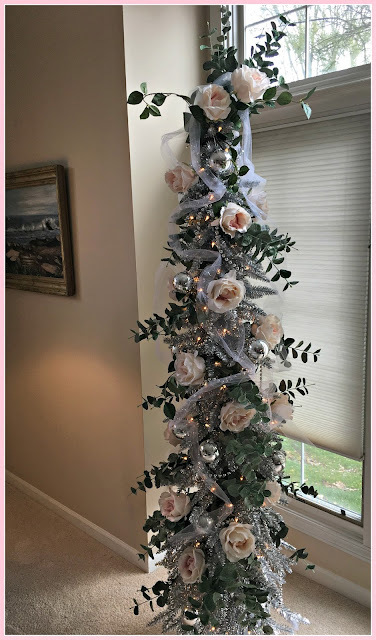 Loved seeing the Winter Spice and I do hope that you keep the beautiful tree around to enjoy through the winter months. And I love all the tea cups you featured and the pink polka dot one is so fresh and fun. 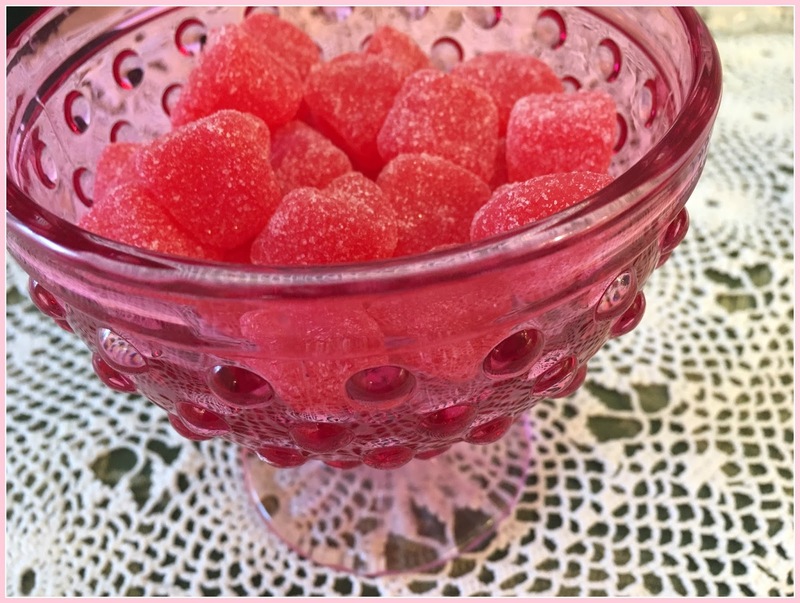 That was a very bubbly and happy, pink post about LOVE! 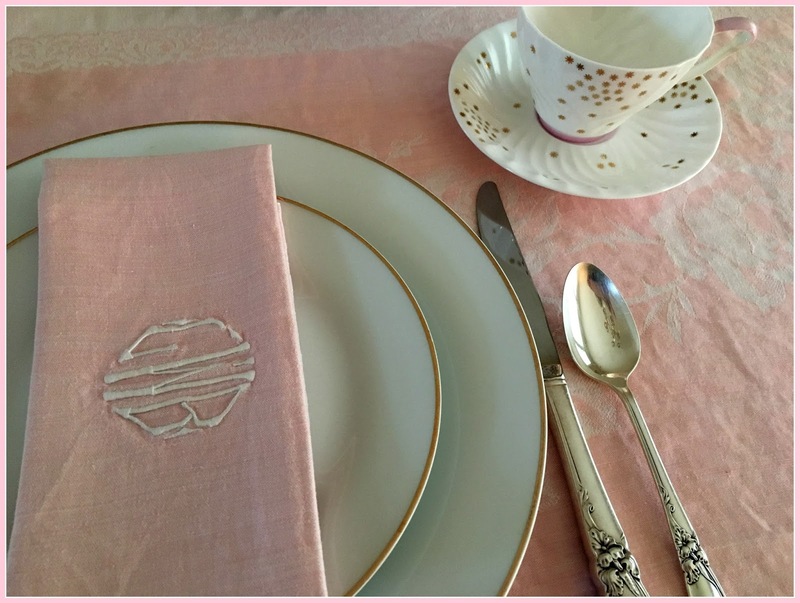 Indeed, nothing compares to the real china thing with fabric napkins and real silver ware. 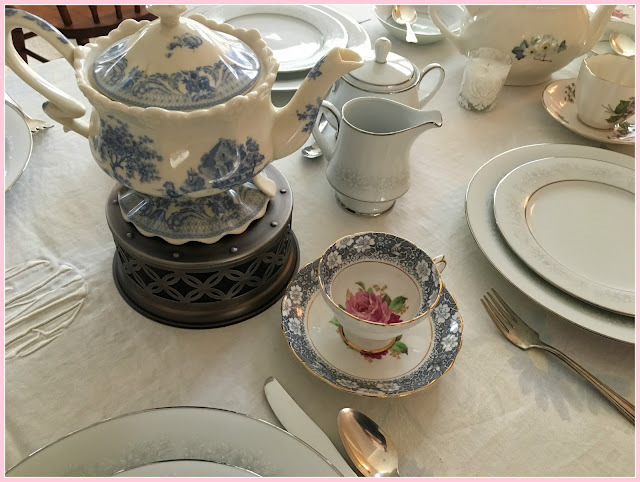 So much more romantic and elegant and besides, showing the young bride that life is worth going the extra mile for such a special table setting. You were lucky for finding enough of those bowls and other pieces. Perfect presentation and no doubt a happy bride-to-be! What fun you must have had planning and preparing for this special occasion. So romantic and pretty a setting. The bride-to-be must have been over the moon when she walked in. What a lovely start to the new year. I wish you a beautiful year ahead, Deborah! oh, Deb, it's all fabulous! 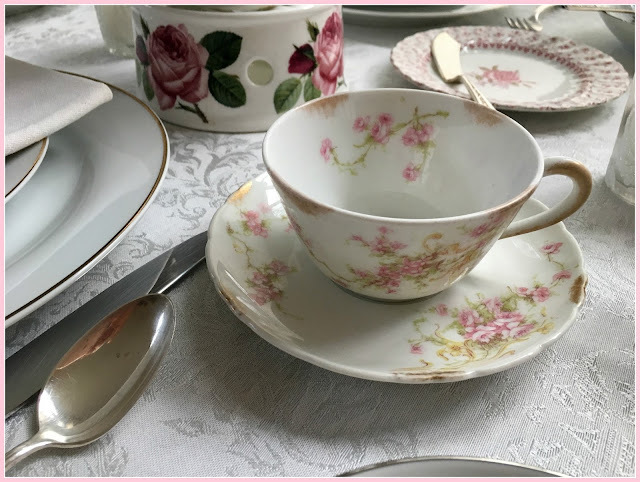 I *especially* enjoyed all your heart finds - and those teacups, swoon worthy, every single one! Well done, sweet friend. I bet it was fun - but nice to have behind you now! Everything looks beautiful! What a special time! WOW! Everything is SOOOOOO beautiful and elegant...very, very impressive! So many very pretty things!! What a collection of tea things :) Makes my heart so warm. Lots of fun ideas there too. What a beautiful gathering!